According to the host of Jeopardy, Justin Trudeau wears a buzzer that secretly alerts his staff when he wants to escape a meeting. Does he know the number of the wholesaler? Good morning, gorgeous. 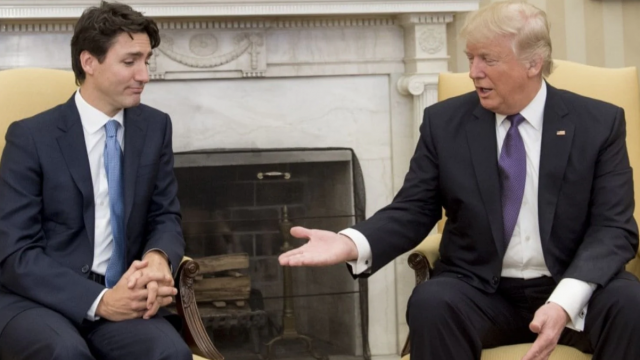 Overnight, Donald Trump’s lawyer decided he was guilty, Justin Trudeau was the subject of a flame war and Dolly Parton discovered memes. Ok. I always marvel at how radiant you look in the morning. Don’t think I haven’t noticed. The news? Oh, Justin Trudeau was held to a different standard, Edinson Cavani wants to blow up science and Scotland disappointed itself. Now come back to bed. Morning, again. Does this mean I no longer have to be an ogre? Overnight, Justin Trudeau proved that he was not a robot, Forbes gave into apathy and Donald Trump made no sense. Well, good morning to you. What happened while you were asleep? Well the Trump-Trudeau handshake ushered in a new era of journalism, Meryl Streep practiced for her next role and Jacqui Lambie was eviscerated by a TBS alum. Huzzah! Monday morning. Oh, Joy. What happened while you were asleep? Well Lewis Hamilton behaved badly, Justin Trudeau was killed online and Crowded House says goodbye. Again. Wow. Ubermensch Justin Trudeau has exceeded himself. Again. But you know what, enough already. No-one’s impressed. Brand new TBS writer Harrison Jones points out that popularity is a fickle beast in politics, and in Turnbull and Trudeau’s case, the hard work now begins.